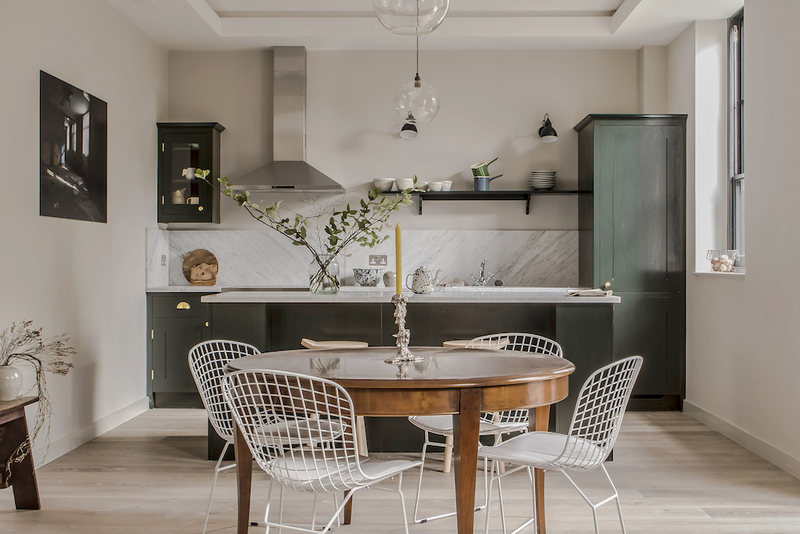 These chic and contemporary British Standard kitchens are housed within a converted school in Hackney. The designs work with the existing architectural features of the original building, retaining the Victorian authenticity and character, but with a uniquely modern feel. 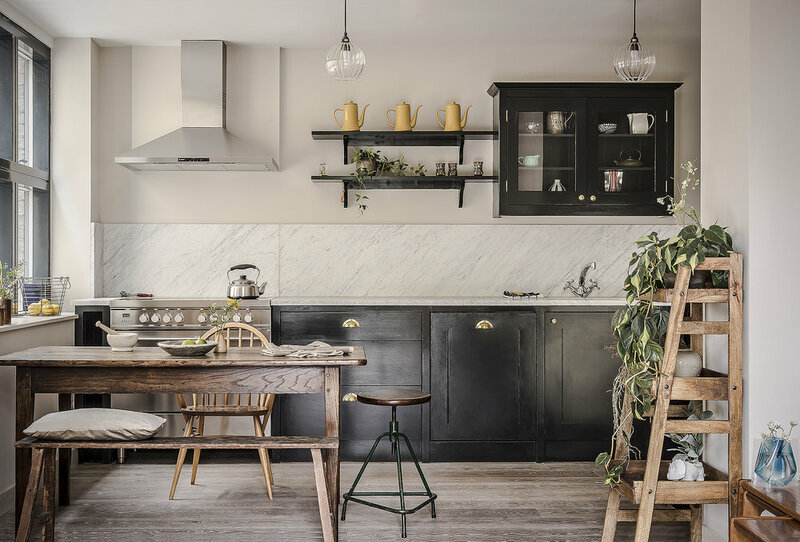 The high ceilings, combined with the open plan and light atmosphere of each kitchen is contrasted by dark, hand painted cupboards, in a mixture of gloss and matt finishes. Brass ironmongery and a combination of eclectic dining furniture complete the look. British Standard is an off-the-shelf cupboard range of simple, honest, affordable cupboards for kitchens, utility rooms and studies, in fact suited for placement anywhere in the home where storage is required. Customers are able to plan their own kitchen design and layout, order online directly from the British Standard website and paint the cabinets themselves, enabling to take full control of their projects. All cupboards are handcrafted in Plain English’s workshop in Suffolk. Individual cabinets come fully assembled in an elegant shaker style and undercoated in ‘Broken White’ eggshell allowing customers to customise and paint them in any colour they choose. Are Curtains Making a Comeback?